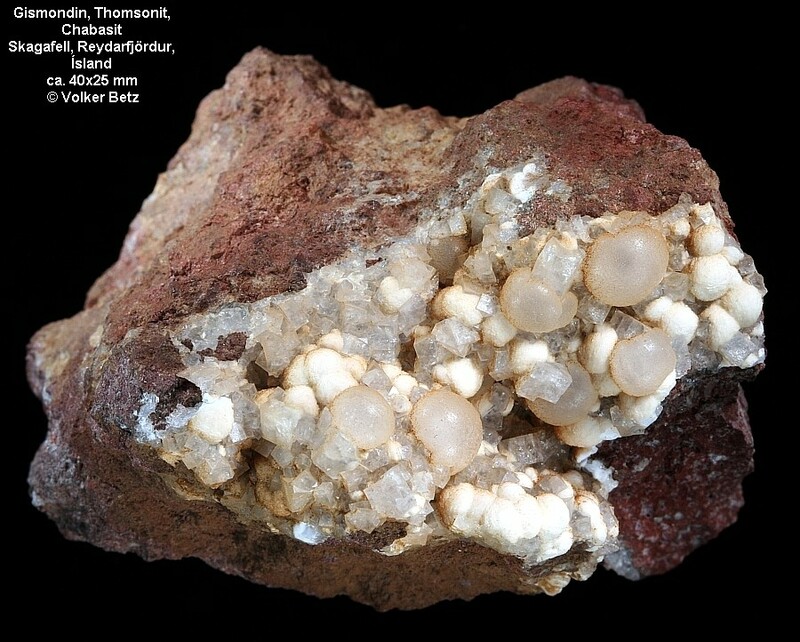 40 x 25 mm specimen with Gismondine (white spheres) Thomsonite (transparent spheres) and Chabazite. Collected ca. 1975.